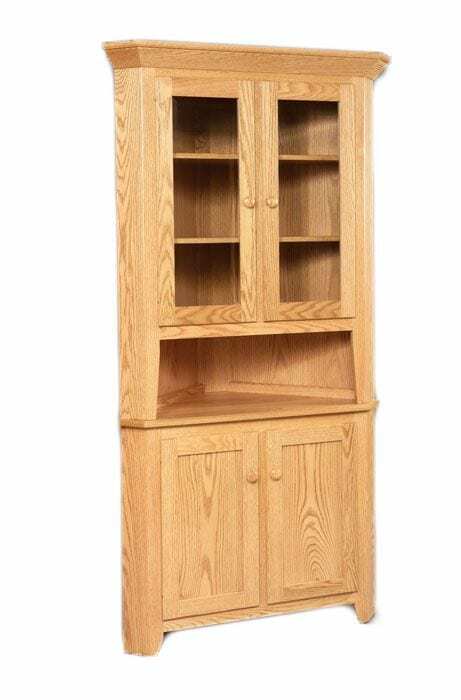 26″ Standard Corner Hutch shown in Oak. Standard Features: Plain glass, wood shelves, plain wood back. Options: Available in 20″ and 30″ wall space.